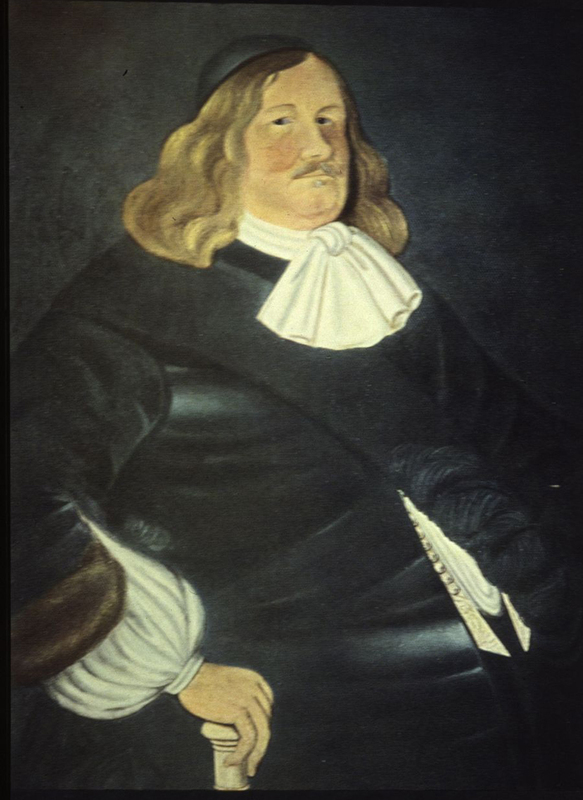 Governor Johan Printz of New Sweden, circa 1650.
Credit: A copy of this painting is housed at Swedish Colonial Society, Gloria Dei, Old Swedes' Church, 916 S Swanson St, Philadelphia, PA. The original is at Parsonage of Trinity Lutheran Church, Bottnaryd, Sweden. A huge man–he was reputed to be seven feet tall and more than 400 pounds–Johan Printz (1592-1663) became the first royal governor of New Sweden in 1642. After the Swedes lost the fur trade to the Dutch and English, and dissent spread as the colony became plagued by inadequate supplies and internal dissension, Printz was forced out of office and returned to Sweden in 1654.